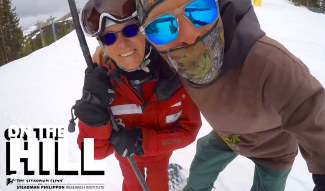 VIDEO: Z Griff heads over the pass for a day of spring riding at Vail, where he finds logs and hidden powder stashes while Mark McMorris and Anna Gasser find wins in the slopestyle finals. It’s a good day to be a snowboarder. Summit Daily field report: The sun shines and the wind is calm. Conditions are excellent after the snow that fell at the beginning of March. Weather: High of 46F, Low of 20F. Sunshine. Lift lines: Stands to be a busy Saturday but with many awesome events at all of the Colorado Mountains people may be spread out. Breakdown: We are working on our tans and enjoying the warm weather. We have stellar conditions for the big show at Vail, the Burton US Open.